Probably we are only Asian faces in the car. Why? It did’t do enough to promote itself in Asian markets? 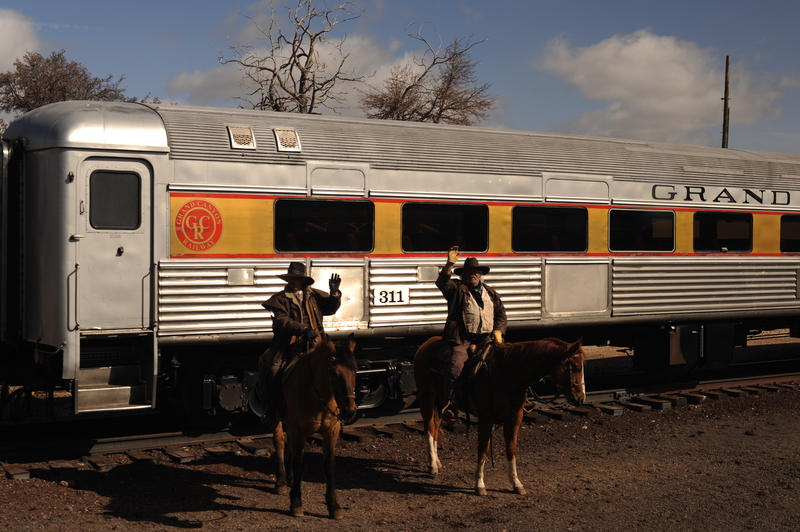 When leaving William town, the two cowboy actors waved their hands, saying goodbye to us. We watched their show ‘Wild West’, but it’s more for kids^_^. Anyway, this little town is petite, lovely and extremely cold – maybe only for me. Rested in the Grand Canyon Railway hotel, it was so cold outside! Poor us! We had our best breaky buffet here. I had plenty of bakery while Chen Tu had enough protein to survive T_Tb. Their coffee was mild but picked me up. Chen Tu: of coz, in Asia we always call scone, loaf, pie ‘western cake’ ! 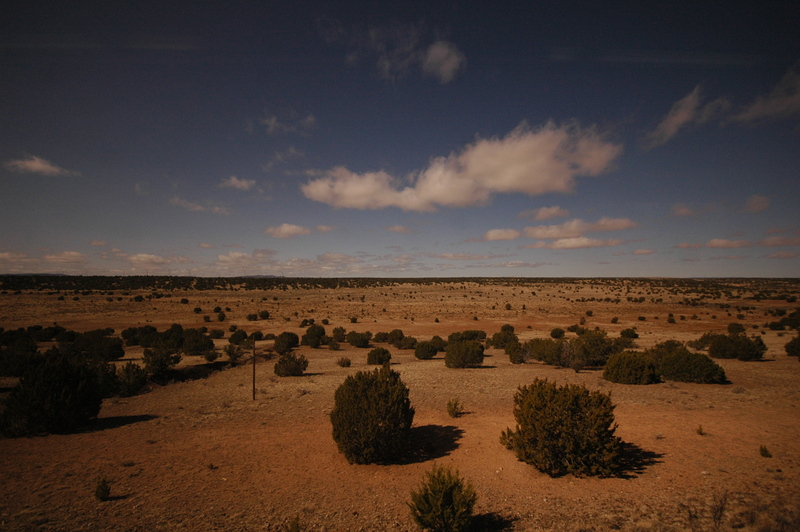 The train crossed the desert area in Arizona. Not sure if it is real ‘desert’, for someone coming from a town where it is rainy every day — the scene showing in picture window was astonishing enough. Some place refreshed my memory on my few train trips ten or twenty years ago. 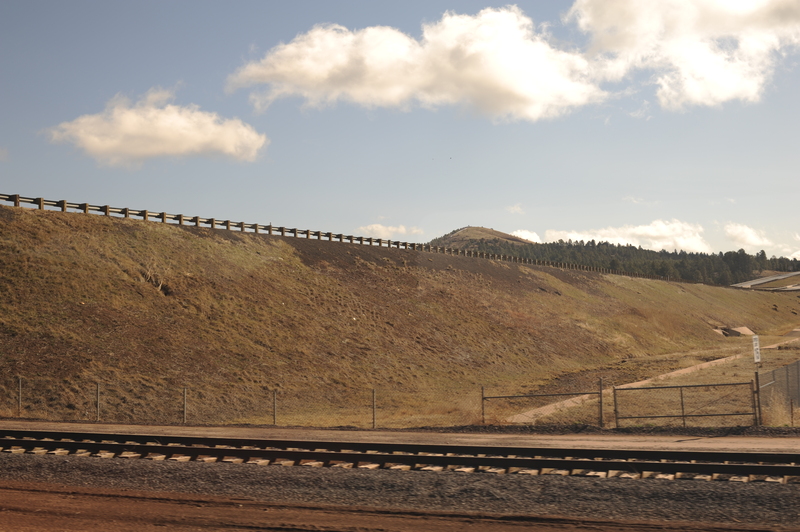 Trains across my home province, if there is, always go through tunnels and over bridges. So inside the car it is light and dark, light and dark all the time. Clouds floated in the sky. 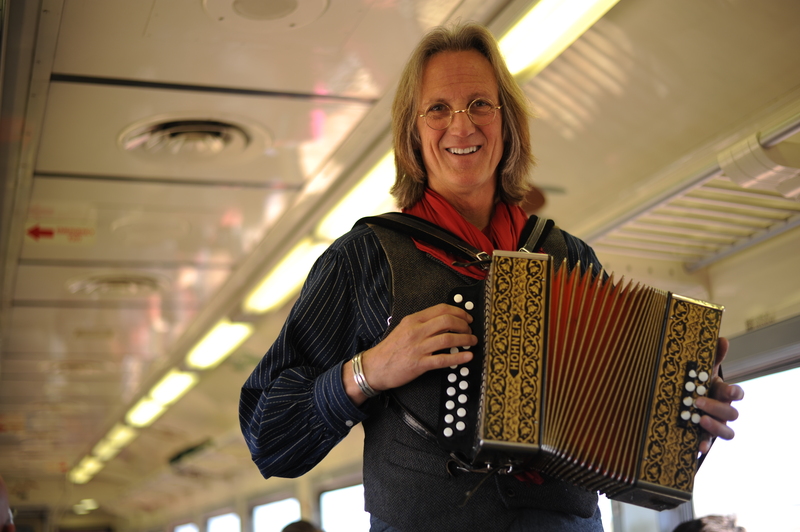 There was an accordion player on the train. He played an old folk song (?no idea what it is), and others followed. (As a revenge on the internet filtering in China, Li Xiaohu decided to change her channel to English. Li Xiaohu: It’s a fighting back! From me, a Chinese literature geek ! Let’s call it even then. On the way to Grand Canyon! 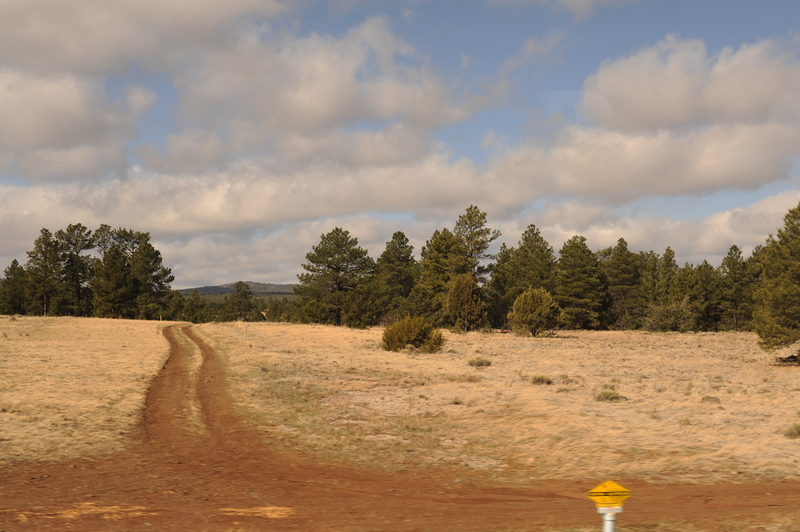 Amtrek, Arizona, Grand Canyon, Grand Canyon Railway, Travel, U.S.